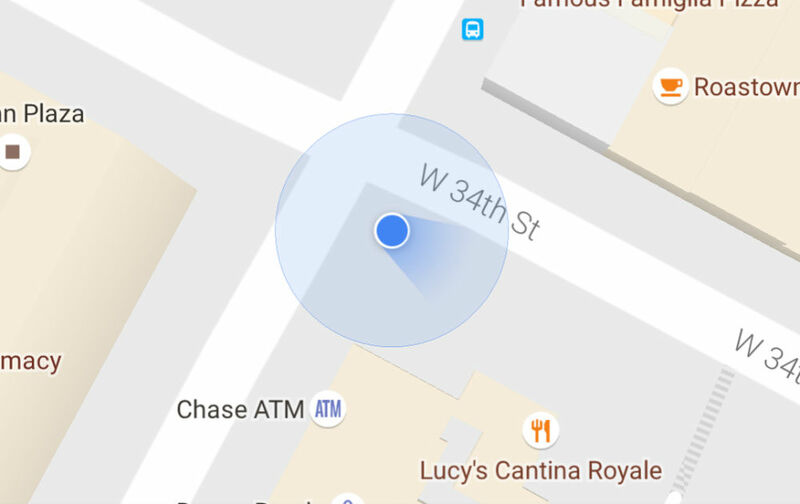 In a Google Maps update that was first given to beta testers, as we’ve seen it for what seems like a couple of weeks now, the blue dot that indicates your location will now also indicate your direction. Not that this needs to be broken down any further, but let’s break it down for all to understand. When you fire up the updated Google Maps, your little blue dot will face in the same direction as yourself. For example, if you are walking north, the blue dot will also be facing north. There’s your breakdown. Google also implemented a way to see how well your device’s location settings are calibrated. This is actually the cool part of the announcement. On that blue dot, the wider your beam is, the less accurate your location reading is. The narrower it is, the more accurate your location is. To help increase accuracy, users can draw a figure 8 with their device, which will help calibrate the location. The update for all that includes this change is now available on Google Play, so don’t be shy, go grab it.